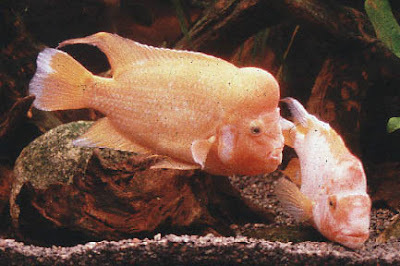 The Red Devil Fish, Midas Child or Cichlasoma Citrinellum starts out as a regularly shaped fish, but develops a hump on it's back as it grows older. This fish is native to Florida, Hawaii, Puerto Rico and Massachusetts. This fish can grow up to 1' and is a fresh water fish that requires a fairly large tank. They can live up to 10 years and are a favorite among fish enthusiasts. There have even been reports of pet owners training the Red Devil to do tricks! 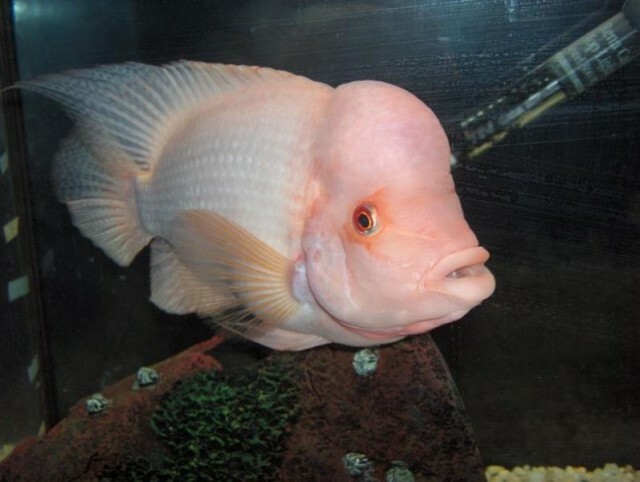 Studies have also shown that this fish has the unique ability of distinguishing different colors as well! You can learn more about the Red Devil Cichlid in the video below. If you have any additional information please leave us a comment below.